A fun and easy way to add that bright sparkle to craft projects. Perfect for everyday craft projects, table sprinkles, school projects, parties, embellishing cards/scrapbooking and much more. 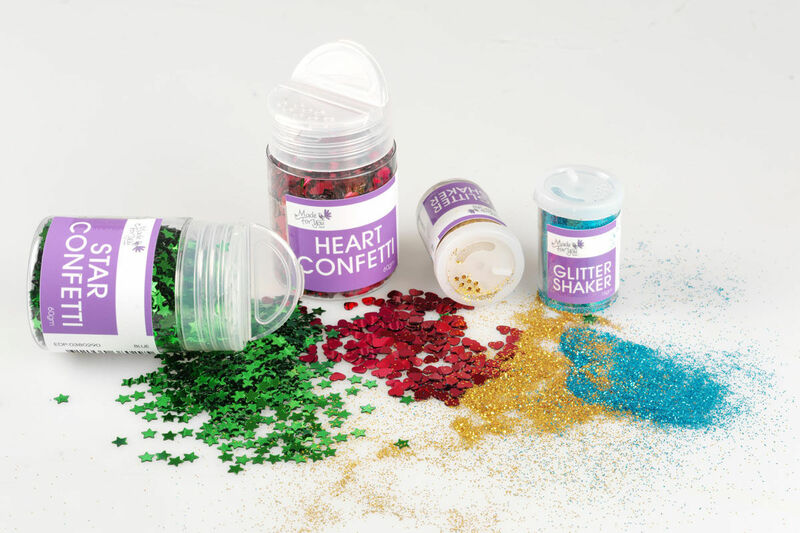 Includes glitter packs and jars, confetti, glitter paint and glitter glue. A fun and easy way to add the bright sparkle of glitter to craft projects. Fun and easy way to add the bright sparkle of glitter to craft projects. 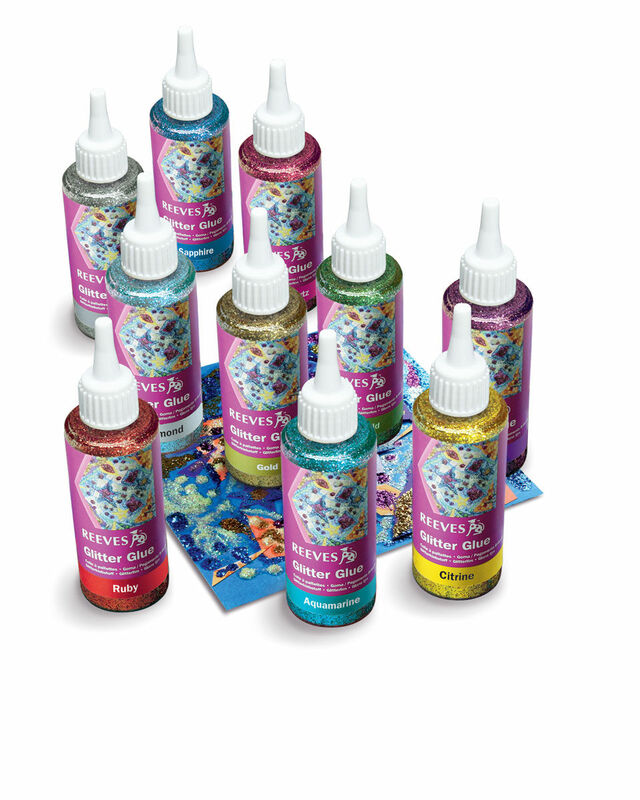 Add sparkle to your artwork with Reeves Glitter Glue. 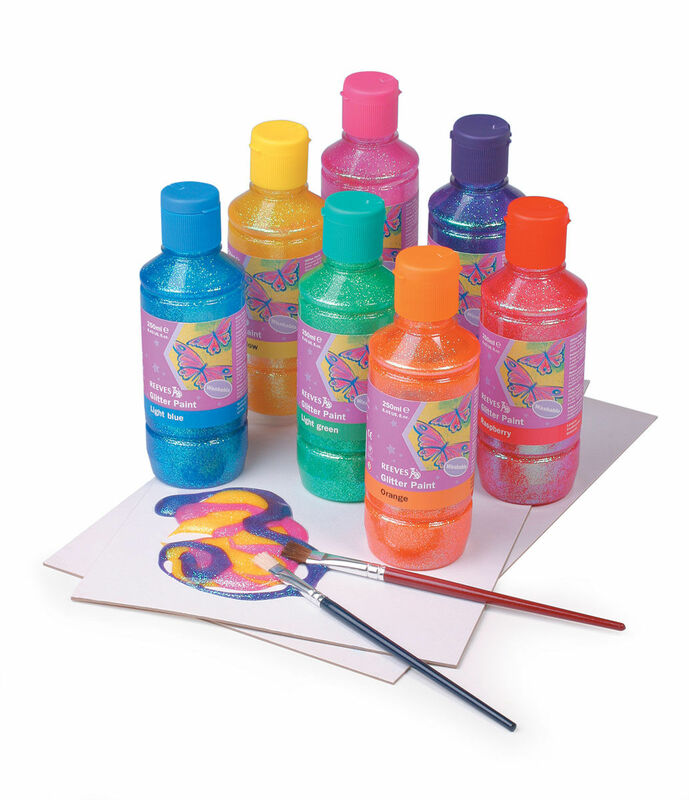 This glitter glue is ready to use straight from the bottle and allows you to intermix colours freely. Reeves Glitter Paint has vibrant jewel colours in the range and come in an easy squeezable tube.